The four number rating system is the most commonly used rating system by disc manufacturers. Despite frequently being referred to as The Innova System, many other companies (Latitude 64, Dynamic Discs, Westside, Legacy, etc.) use the same system. Being used by so many different brands provides some great benefits, but also has its drawbacks. One of the main benefits of so many companies using the same system means a lot of people recognize the numbers. One of the biggest drawbacks is that not many people fully understand them. It is also worth noting that while many companies use this four number system, comparing one company’s discs to another company’s disc isn’t always compatible. So let’s break the system down. There are 4 ratings assigned to each disc: Speed, Glide, Turn, and Fade. The speed rating has the widest range of numbers, from 1 to 14. It is the most important rating because the following three ratings are dependent on it. Also, speed is the most commonly misunderstood rating. A lot of golfers, especially people new to the sport, hear the term speed and just assume that is the speed the disc flies. While that makes sense and is perfectly logical, it’s actually incorrect. The speed number is actually the minimum speed at which you have to throw the disc in order for it to fly like it was designed. The higher the number, the faster you have to throw the disc. The speed rating is also what tells you if the disc is a putter, mid range, or driver. Putters fall in the 1-3 speed range, where mid ranges are rated as either a 4 or a 5. Drivers are actually split into two categories. You have fairway drivers from speed 6-8, and distance drivers are 9-13. As previously stated, the 3 other ratings are based off the speed; meaning, if you can’t get the disc to the rated speed it will not fly like the ratings indicate. The disc will fly more overstable. The turn and fade are what dictate the stability of the disc, but we’ll get into that later. We should also mention that some companies have added the Speed 14 rating. There are discs with a speed 14 rating from one company that have the same wing width as one from another that has a speed 13 rating. There is no doubt that marketing comes into play here as well. Along with looking at the speed number, it is worth looking at the true width of the rim to see how things compare between companies. Glide is probably the least impactful, and easiest to understand, of the 4 ratings. Glide is rated from 1 to 7, but the vast majority of discs will fall in the 4-6 range. The glide rating is the easiest to understand because it’s exactly as it sounds; the amount of float the disc has in the air. The higher the number, the more glide it has. The third rating is the turn rating, sometimes referred to as High Speed Stability (HSS). Turn is the amount of curve the disc has immediately after leaving your hand. HSS is dependent on how you throw the disc, whether it be backhand (BH), forehand (FH), left handed (LH), or right handed (RH). For a RHBH/LHFH throw the turn will curve to the right. For a RHFH/LHBH it will curve to the left. HSS is rated from +1 down to -5, but most discs fall between 0 and -3. This is where you get into whether a disc is overstable, stable, or understable. Generally speaking, a +1 means it will immediately start turning left (overstable), a rating of 0 means it won’t turn either direction and will go straight (stable), and a negative number means it will start turning to the right (understable). The more negative the number the more it will turn over. So a disc with a turn rating of -3 will turn a lot more than a disc with a rating of -1. More understable discs are great for beginners. Where an experienced golfer can get an understable disc to turn a lot, the new player, who can’t get the disc to the intended speed, can expect a much straighter flight. The fourth and final rating is the fade, or Low Speed Stability (LSS). Similar to the HSS, the direction of the LSS is dictated by the way you throw the disc. The fade is how much the disc will come back at the end of its flight. The turn starts right after the disc has been thrown and is curving in one direction. As the disc slows towards the end of its flight the fade begins to kicks in. This is when the disc starts to curve back in the opposite direction of the original turn. The numbers for the fade rating range from 0-6. Zero means that the disc will settle down in a straight path. The higher the number the more severely the disc will hook. Take a disc with the ratings 8, 4, -2, 3. This disc is going to be a fairway driver, with a fair amount of glide. With a turn rating of -2 and a fade of 3, (when thrown RHBH) that means this disc’s will have what is called an “S curve”. Meaning right after leaving your hand the disc will start turning to the right. As the disc slows down the fade starts to become a factor and the disc will start coming back to the left. Since the fade rating is higher than the turn the disc should land just slightly to the left of where you threw it. Why do some discs fly to the left, and others go right? Like clubs in ball golf, Discraft golf discs are designed to travel on a variety of flight paths to help you meet any course challenge. The way we define a disc’s flight characteristics is through the term stability. Let’s assume you are a right handed player using a backhand throwing motion. If you throw a disc on a straight, flat line using average power and it continues to fly straight, that disc is considered to be stable, and would be given a stability rating of (0). Most golf discs — especially drivers — tend to fade to the left, which would put them somewhere within the overstable range. This is the more natural flight path for sharp edged discs. These discs get a positive rating of (1) for a subtle fade, or higher (2.5) for a harder turn. I am left-handed, and this chart is for right-handed, backhand throws. What about me? 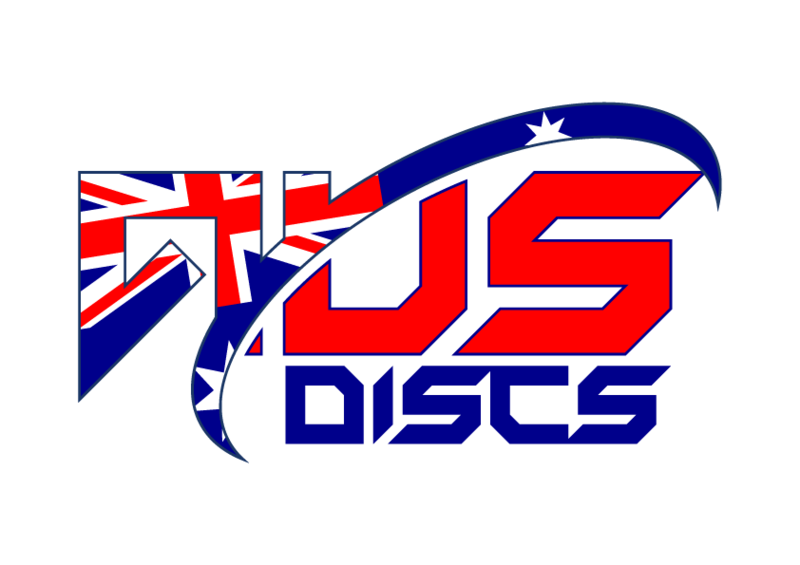 When shopping for Discraft golf discs, you’ll see a stability rating on each disc. You might see this one (a rating of 0 stability) on a putter, a class of disc that tends to fly slow and straight. You’ll want a mix of stability in your bag. Overstable discs are great for throwing hyzer shots on dogleg left holes, long distance ‘S’ shots, overhand air shots or for holding a line into a headwind, understable for anhyzer shots on a dogleg right or for roller shots, and stable discs for navigating tight, straight fairways. As you gain experience and get to know how your discs fly under different circumstances, you’ll want to experiment with additional discs and stabilities to see which ones fit your style and fill additional needs in your bag. Enjoy!